Dominic Howarth and Jocelyn Howard both have full-time jobs in St. Petersburg, Florida. Howarth is a merchandising manager for a popular Italian market in St Petersburg. Howard manages community partnerships and planning at the local health department, also in St. Petersburg. In addition, Howarth and Howard occasionally contract out with other locations to teach lessons and volunteer at a monthly dance event they co-founded with the City of St. Petersburg. 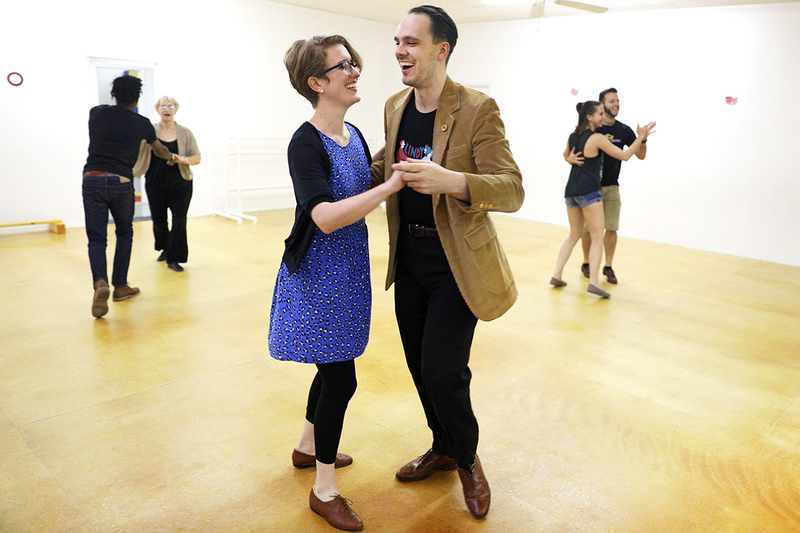 “Though [the volunteer job] isn’t paid, it’s definitely one of the most fulfilling parts of being a swing teacher — we love seeing the smiles and reaching people we never would have met otherwise and building community,” Howard says. But Howarth and Howard each had a different experience at work when they decided to take on a side gig. While Howarth says he didn’t need permission from his employer to have a side gig because his evening classes don’t conflict with his full-time work schedule, Howard had to notify the health department of her outside work. Should I Get a Side Gig? We’re big fans of the side gig here at The Penny Hoarder. Really big fans. Some people use side gigs to pad their emergency fund, score some free food, or just get by. Others start a side gig because they can’t find a product or service they need. Whatever the reason, there are a few things you need to know to make extra cash in the gig economy. For instance, you need to know what to do to avoid burnout and how hidden expenses can eat up your profit. The first thing you should do, however, is make sure you can have a side gig at all. Is a Side Gig a Good Fit For Me? Before you get too far into the complexities of getting a side gig, it’s important to make sure having one will be a good fit for your lifestyle. People who act as family caregivers might have a difficult time arranging coverage while they work. Why Would My Boss Care If I Have A Side Gig? “If employees are hustling and juggling to take care of multiple jobs, sometimes things slip. Fatigue, transportation glitches, lack of sleep and poor attentiveness can become issues. Am I Allowed To Have A Side Gig? Some companies have policies in place that prevent workers from moonlighting, while others don’t expressly forbid it but don’t exactly embrace the idea either. Fortunately, many companies have no problem at all with employees taking side work, as long as they show up on time and do a good job. In fact, they might even agree to give you fewer work hours. It’s not a great idea to guess whether your employer allows you to have a side gig. You really need to ask. They may say no, but it’s better than running afoul of company policy and ending up with no job at all. Lisa McGreevy is a staff writer at The Penny Hoarder. She’s had side gigs ever since she was old enough to work.